If you’ve been following me for any time you’ve probably heard me say that I like Go Daddy as a domain registrar. They have great customer service and great pricing. And it gets better! When you renew your domain names, or buy any other services from them, you can easily find discount codes online. 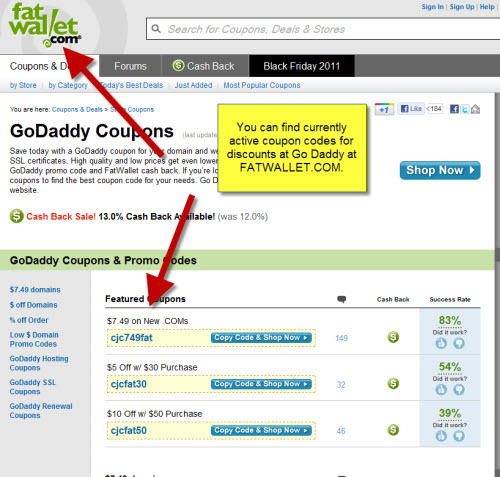 I usually start at FATWALLET.COM (http://www.fatwallet.com).